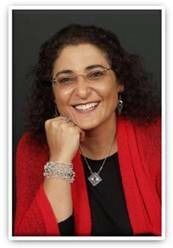 Ronit Baras is an author, educator, life coach, journalist, blogger and justice of the peace. Ronit is The Motivational Speaker, as well as the founder of BE Happy in LIFE and the State Director of the Together for Humanity Foundation. Ronit started her first business 25 years ago, straight after graduating her special Education degree. She runs professional development workshops to educators, government bodies, business and financial institutes and community organisations. Ronit has worked around the world as a motivational speaker presenting on emotional intelligence to promote success. Ronit speaks about optimism, the business success formula and the emotional inteligence application needed to succeed in the business world. Ronit's presentation was hailed as an outstanding success and a valuable learning experience for all who attended this Women Howling at the Moon event. Presented by Julie Mason aka The Social Media Princess. Wow. Where to start? Julie Mason is Managing Director of The Social Media Princess go-to company for providing training, keynote presentations and consulting services in socia media. Self-confessed geek and social media nut, Julie combines an innate understanding of new media with over 20 years in traditional sales and marketing to powerfully support businesses and executives in Australia and now also internationally to turn social media endeavours into profitable marketing campaigns that gain and retain customers. Julie is a sought-after speaker and published author on social media, a faculty member on Social Superstar Secrets and Health Leaders Academy, and considers social media as an essential communication tool in today’s business world. Julie's roles include consultancy on social media, interactive workshops, keynote presentations, mentor and author. Women Howling was seriously chuffed to have Julie share her wisdom with us in October. Julie included a mini Marketing 101 course as well as Facebook training. One of the treats was learning to set up the whole week’s posts in advance for scheduled delivery, eg so that the week’s posting is done and dusted during two hours on a Sunday evening. Julie also showed ways to increase engagement and interaction with our posts through the way we wrote and presented posts. I really loved the evening. Thanks for a great night. It's all go-ahead here; I registered our domain name yesterday. [And two weeks later the same woman said..] Still milking info from that night. I posted a question [on my FB page] asking what advice you'd give your younger self using only two words and I got 14 shares, 17 likes, and 42 comments! Definitely doing something similar again, oh and I'm really liking this scheduling idea too! I've had 12 new page likes this week. Thanks again for inviting Julie to give us such fantastic info! Julie's message was clear and opened up many possibilities. Thank you very much. October's Women Howling at the Moon was another truly joyous occasion – a combination of a dozen wise, motivated women, authentic communication, spontaneous creative think-tanking and practical actions to boost businesses or projects. And much warmhearted laughter. Not surprisingly, women leave the evening empowered. Friendships and business connections continue between events, and women invite their friends along to WHATM evenings. More of this year's presenters and topics to be added shortly. To book for the next Women Howling at the Moon, phone/text 0437 327 890. If you're keen to promote your business in depth at a WHATM meeting, contact Chris Henderson by phone (above) to register your interest.